When something is as familiar – and splatter stained – as the original Moosewood Cookbook, admittedly, it’s hard to look at it with new eyes. But a 40th anniversary edition is out from Ten Speed Press, the same Berkeley outfit which first nationally distributed the hand-collated notebook that a young Mollie Katzen – who has now been an East Bay resident for decades – kept mostly in her car. For those who didn’t grow up with the Moosewood Cookbook, it all began in a restaurant in Ithaca, N.Y., that served homey vegetarian cuisine cooked by non-professional chefs, bringing in modified versions of their old family recipes. 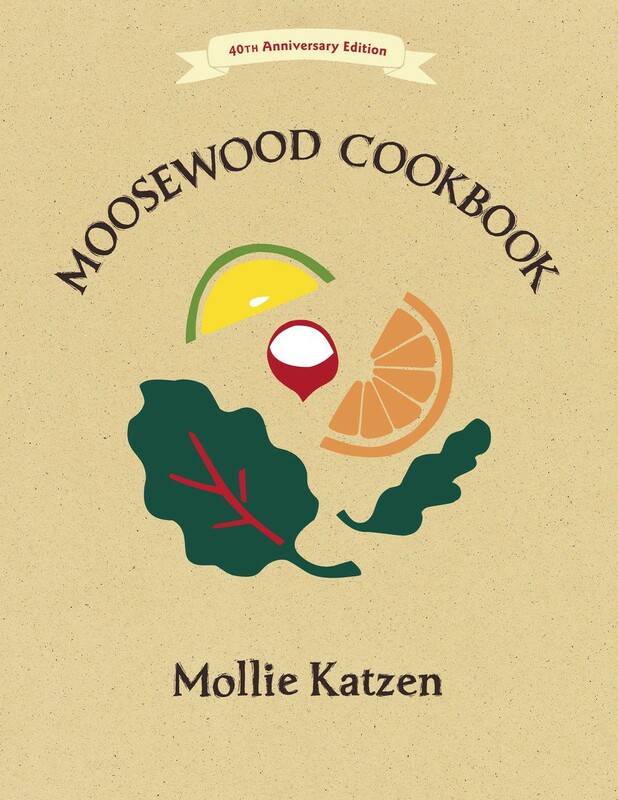 Before Deborah Madison and Isa Chandra Moskowitz, and way before there was Ottolenghi, there was the Moosewood, which would go on to become synonymous with vegetarianism through its never-ending line of cookbooks, promoting vegetarian cooking at a time when it was still considered pretty revolutionary and fringy to not eat meat. A lot has changed, now, of course. We all know now that eating less meat is better for us and the planet. Perhaps that’s why the Moosewood has stayed in print all these years, but also because its recipes just work. They aren’t the fanciest on the block, or the most original, but at one time, they were. And they still hold up. Curried mushroom and squash soup, cauliflower cheese pie with grated potato crust, lentil-walnut burgers. This is the kind of home-cooking that many of us want, maybe not dinner-party worthy, but accessible, not too fussy and delicious. The first edition of the Moosewood was really published in 1977 by Ten Speed, upgrading it significantly from the spiral bound version that first began in 1974. And as Katzen writes, it took a while to catch on. But catch on it did, and 15 years in, Katzen decided to cook her way through the recipes once more for a new edition, tweaking as she went. Mainly, recipes were lightened up for that version, using fewer eggs and less cheese. That version is the one that has been sold since 1992, and that has been repackaged for this volume. If your old copy is still usable, no need to run out and get this one. But if you know someone who hasn’t yet discovered the old Moosewood, it’s a fine time to introduce them. After all, there’s surely a reason this cookbook has stayed in print for 40 years.